I knew this nation’s GOP lawgivers were prone to hysterics, but I never imagined they would come up with an historically mortifying witch-hunt akin to Senator Joe McCarthy’s whack-a-commie crusade that targeted every “liberal” politician, artist and journalist in the 1950s. Silly me. You see, I try to forget that Congressman and human lookalike Lamar Smith (R-Texas) heads the House Committee on Science, Space and Technology, which “oversees” NASA and NOAA (National Oceanic and Atmospheric Administration) much like one sharpens a carving knife before slicing a holiday turkey. Unfortunately for NOAA, the Earth monitoring agency in June published an update to its global surface temperature dataset that continues to show an acceleration in rising global temperatures. Ooooops (sound of pin dropping). Smith did not like that news. Not one bit. Specifically, what got Smith’s blood boiling was that in its latest dataset update, NOAA plainly detailed, of course, that Earth has become hotter since 1988 – by more than one tenth of a degree with every decade. 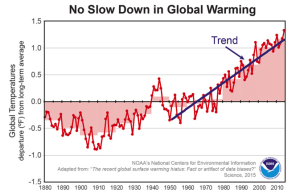 These new calculations, which used more accurate methods of measurement and analysis, now jive with NASA’s global warming numbers, as well as the results of studies done by independent Earth-monitoring organizations and scientists. 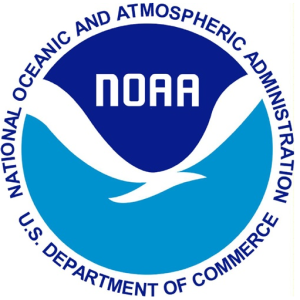 Reportedly, after NOAA’s report was released to the public, Smith went berserk and in July demanded written details of the agency’s methodology. NOAA promptly complied, but Smith didn’t like the long, big words in all that information, nor the fact that he could not find any political influence in NOAA’s findings. So the congressman accused NOAA of doctoring the dataset and scientific methodology! 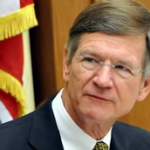 Grand Inquisitor – Congressman Lamar Smith subpoenas NOAA’s internal information over study that challenges GOP party line regarding climate change. Smith and his sycophants promptly demanded closed-door meetings to grill NOAA Chief of Staff Renee Stone, NOAA Communications Director Ciaran Clayton, and two leading NOAA scientists for some good old fascist, er that is, fashioned hot seat “debriefings.” That’s military-politico speak for tortuous 11-hour long intimidation sessions. NOAA told Smith he could shove that one where the Sun don’t shine as well. Obviously, it was not a reference to the bright daylight streaming between Smith’s ears. Apparently, Smith is making good on his promise to attack any federally funded earth-monitoring scientist who goes public with any “hogwash” regarding “climate change.” Ultimately, as he declared some seven weeks ago, he wants to defund any new scientific discoveries that could benefit the Earth. 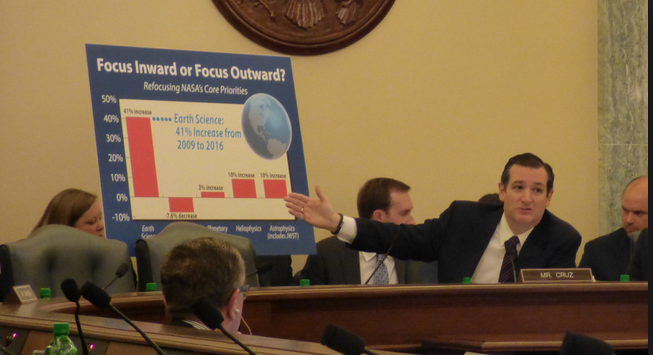 Yes, I am translating into blunt English the Congressman’s threats to Earth-studying scientists. Sounds like fightn’ words to me – so, what’s Lamar’s evidence? Oh yeah, he has none. He just disagrees with NOAA’s global temperature data. 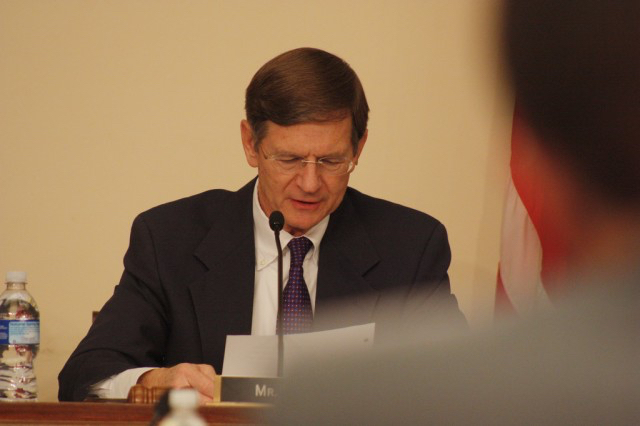 Lamar Smith does not have a background in any science – or math or environmental studies. What he does have is a PhD in protecting big oil interests and fanning a propaganda machine designed to portray NOAA or any scientific-based agency as a traitorous organization brimming with bleeding heart liberal Bolshevik Obama pawns! 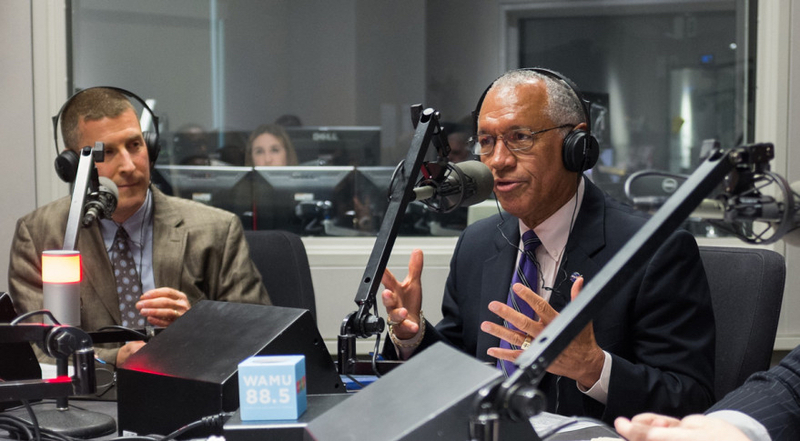 NASA Administrator Charles Bolden challenges Congress over budget cuts. And now for some most excellent news. Not only are NOAA officials fighting back, but also NASA Administrator Charlie Bolden – a four-time astronaut — has taken up the cause for his sister agency. Slight of hand – Ted Cruz (R-TX) makes case for less Earth monitoring. 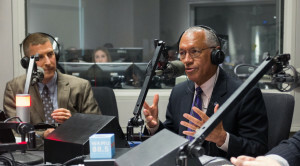 Bolden also said he will continue calling for the funding of Earth science research at NASA to be restored, at least to 1988 levels – which was far greater, even during the Reagan Administration, than Congress allows now. During the Baby Bush years (George W. Bush’s reign of error) the agency’s Earth science budget was ravaged by 37 percent. 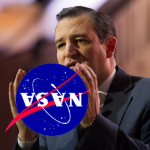 In the spirit reminiscent of the Dark Ages, Senator Ted “Bat Crap Crazy” Cruz (R-Canada) this year led the moronic GOP charge against Earth sciences by getting his fellow inmates to slash $500 million from the paltry $1.95 billion requested by Obama this year. Disappearing mega-glacier could cause oceans to rise 18 inches. Meanwhile, another of Greenland’s great glaciers is melting faster than predicted, even by brainiac Earth scientists. NASA and university researchers reported that the Zachariae Isstrom glacier calved from its stabilizing shelf and is rapidly melting into the North Atlantic Ocean, which will add another unexpected 18 inches to global sea level rise when it completely dissolves. 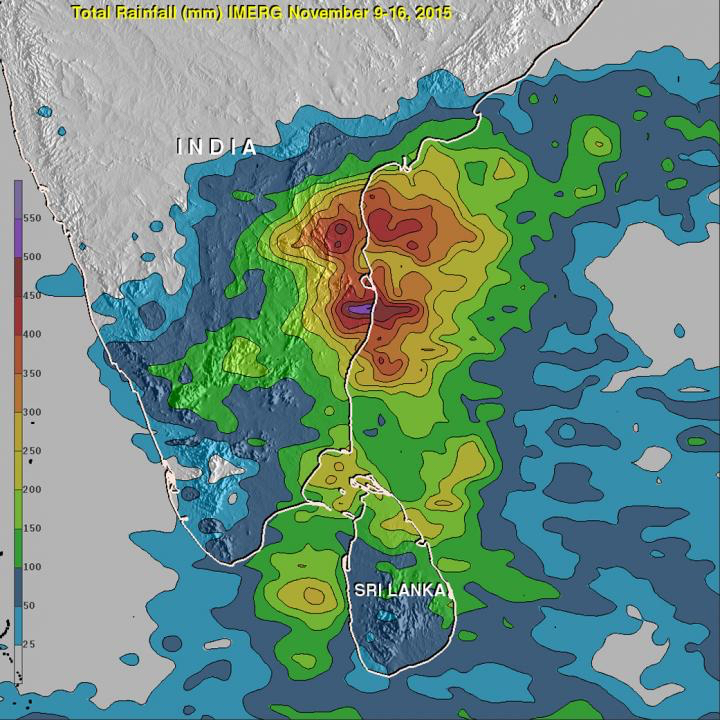 NASA sats plot precipitation that contributed to recent flooding in India. It’s not as if no one had any warnings. The Maine-sized glacier started an “accelerated retreat” in 2012, losing 5 billion tons of ice a year thereafter, says NASA JPL. The super-massive glacier is doing what’s called a “bottom melt,” which is just what it sounds like. 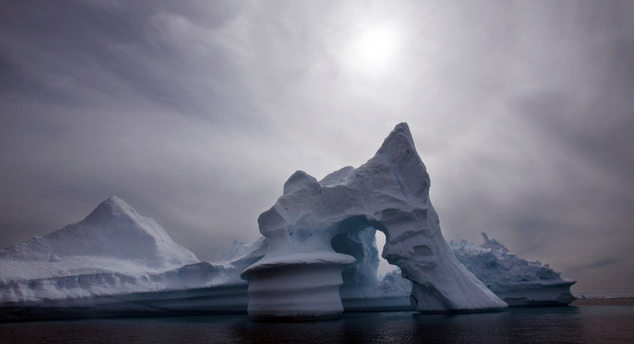 Bottom melting of the world’s glaciers has doubled since the 1990s. More climate change news: What’s left of NASA’s Earth tracking sats honed in on India last week, and they have collected new details of the rainfall that caused the nation’s recent deadly flooding. Don’t let Lamar Smith know or he might demand the satellite’s emails and birth certificate. Continuing the sour note, Congress took action in the name of cosmic corporate plundering, I mean space mining, this week! The bill, which will allow “entrepreneurs” to own whatever they can haul away from asteroids or moons in outer space, overwhelmingly passed both houses and is expected to be signed into law by President Obama without delay. Here’s the kicker: The GOP lawgivers gutted from the bill all the normal regulations on space flight – if it’s for extra-terrestrial mining – for the next seven years. Let the claim jumping begin! 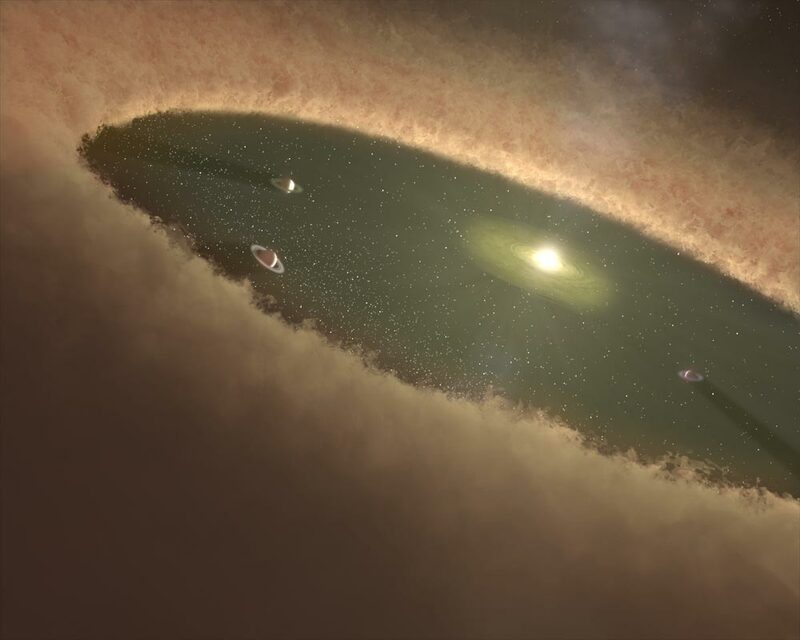 Artist’s conception of forming planet. Okay. Now that I’ve taken a handful of sedatives I am ready to give you some pleasant stuff. 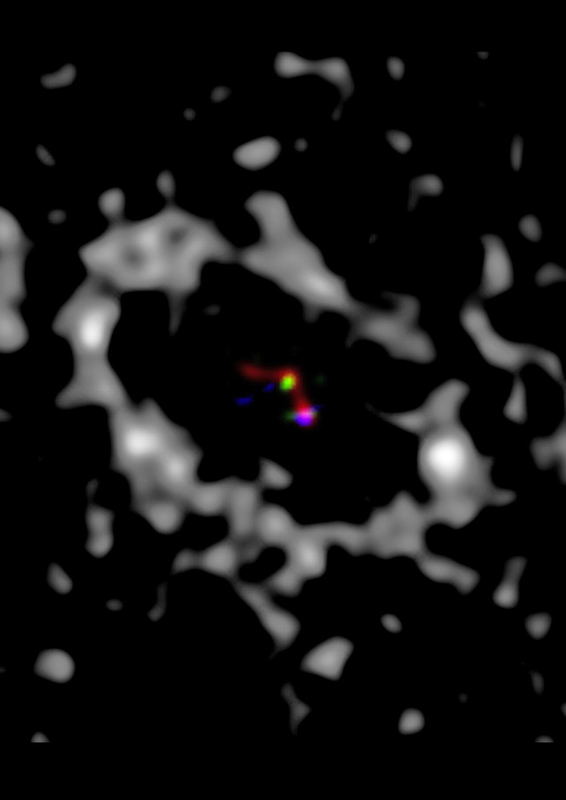 Astronomers at the University of Arizona got to watch a planet being formed, and for the first time ever documented it on film. Using the Large Binocular Telescope in southeast Arizona, team leader and graduate student Stephanie Sallum at the University of Arizona is surely celebrating this birth of a giant gas exo-planet hugging a young star named LkCa 15 (don’t ask me why the astronomy guys pick such ludicrous and clumsy appellations). The LBT is a super eye-on-the-sky, with a 27-foot-wide mirror. The star system is 450 light-years from Earth, and LkCa 15 is only a baby itself having been around a scant two million years. In January, NASA will give some fabulous belated Xmas gifts to MIT and Northwestern University. 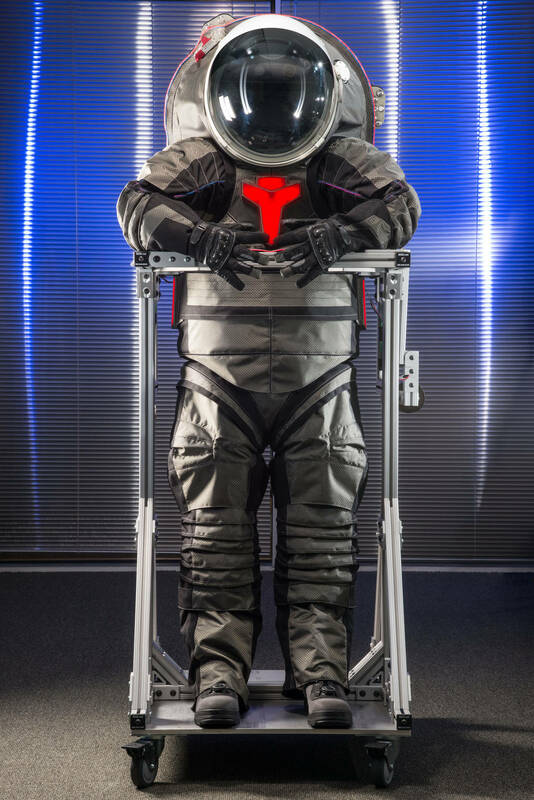 Both institutions will have a prototype of the R5 robot, a humanoid contraption the agency intends to send on space missions, perhaps to an asteroid (if it’s not owned by the Koch brothers), and then Mars before it sends actual humans there in the 2030s. 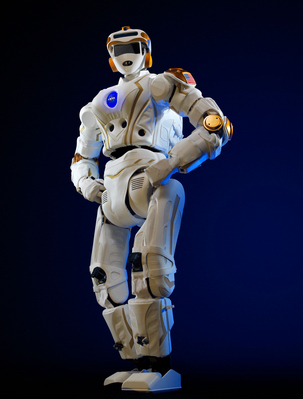 NASA wants the brains at MIT and Northwestern to develop software for the bipedal robot, which is also called “Valkyrie.” NASA originally designed it to aide in disaster relief. Scientists hope it will be able to set up habitats and produce fuel when it goes to out of orbit. 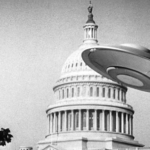 Once again, UFO enthusiasts have been tin foiled, this time by the President. Gentlemen’s Quarterly published an extensive interview last week with Obama wherein writer Bill Simmons delved into the great conspiracy theories of the 20th century, including the JFK assassination and the otherworldly occurrences of Roswell, NM, in 1947. Both responses were dissatisfying to true believers. 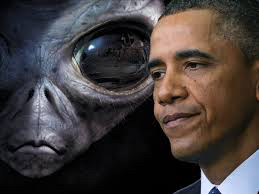 But UFOers like to point out an earlier interview Obama did on late night show “Jimmy Kimmel Live,” in which he was flippant but slightly more enigmatic. Hmmmm … This makes me scratch my imaginary goatee! For Dog’s sake, when will they learn? It only means Obama, because he is a Democrat, is not allowed to know anything the NSA or the CIA or the FBI or any other X-File Group has on the matter. Astronauts aboard the International Space Station continue to be used as guinea pigs, and the newest series of tests involve a study in how zero gravity affects eyesight. When body fluids flow upwards to the head (as say, when one lies down on an uncomfortable slanted board during a “closed-door interview” in Lamar Smith’s Congressional office) extra blood exerts more pressure on the eyeballs. Over weeks, the pressure first blurs focus, then curtails peripheral vision and even causes complete blindness in severe cases. 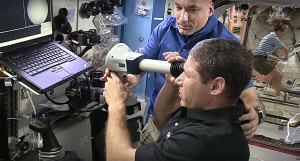 When astronauts are sent up, NASA has to equip them with special corrective lenses to help reduce the problem. As always, the NASA research will have great benefits for us landlubbers back on Earth. The space vision study is expected to help scientists better understand conditions such as glaucoma and migraines. Apropos the latter, I personally will be grateful for their discoveries after watching the world go mad again this past week. The crew aboard the ISS held a moment of silence last Tuesday for the victims of the massacres in Paris; the carnage carried out by a bunch of hopeless, brainwashed psychopaths who have nothing to live for. M I N I N G O U R O W N B U S I N E S S ? It’s almost official – our U.S. Congress will soon turn outer space into the bloody, vicious, thievin’ Wild West. In a rare bipartisanship move, the Senate last week passed the U.S. Commercial Space Launch Competitiveness Act, (a most Owellian misnomer if ever there were one) that will make mining asteroids for profit across the Solar System legal. 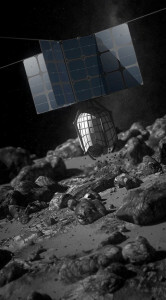 Dragonfly probe designed to retrieve and return to Earth material from asteroids. 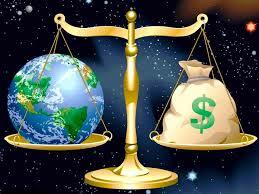 Yes, we know that the United Nations Outer Space Treaty of 1967 bans nations from owning any property in space. But believe me, folks, I come from a family of placer miners, and terms like claim-jumping and high-grading (stealing claimed minerals on the sly) are truly fighting words. Miners have died over disputed claims, which includes being murdered…or perhaps even legally “dispatched.” And I’m not talking about the 19th Century when Europeans moved westward over this nation. It still happens now, a gross example being the De Beers diamond cartel. 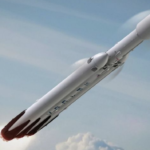 This proposed license to plunder allows bankrolled astro-miners who, with their space-age toys can whiz up to planets, dwarf planets, planetessimals, asteroids, or any other chunks of natural rock floating in space (or one should say zipping in space), and extract from said body everything and anything they want. However, under the new law no one can actually own the celestial body they burrow – they would stake “mining claims” on it. Just how large the mining claim can be is not mentioned in any of this news. Acres? Hemispheres? Seems like the sky is the limit. Expected to pass the full Congress and then clear Obama’s pen, the law specifies that prospectors can mine for “abiotic” materials and elements, however – and I’m not making this up – they cannot own any form of alien life they may find. Yeah right. Like any Eureka-screaming asteroid miner-forty-niner is going to tell anyone he found alien life. I predict that illegal smuggling and slavery of such otherworldly entities becomes a cottage industry! Predictably NASA, Republicans, and entrepreneurs (like Planetary Resources) are cheering the new Act as akin to the The Homestead Act of 1862…and wasn’t that a great deal for Native Americans? Not. Heads up ET! Dog Bless America! Making friends across the world, and spreading out to infinity and beyond! And now for something lovely. NASA has taken one of the many pix snapped of Pluto by its New Horizons craft and put it through a technique called “principle component analysis” that highlights subtle color differences between the dwarf planet’s distinct regions. The results are gorgeous and groovy. 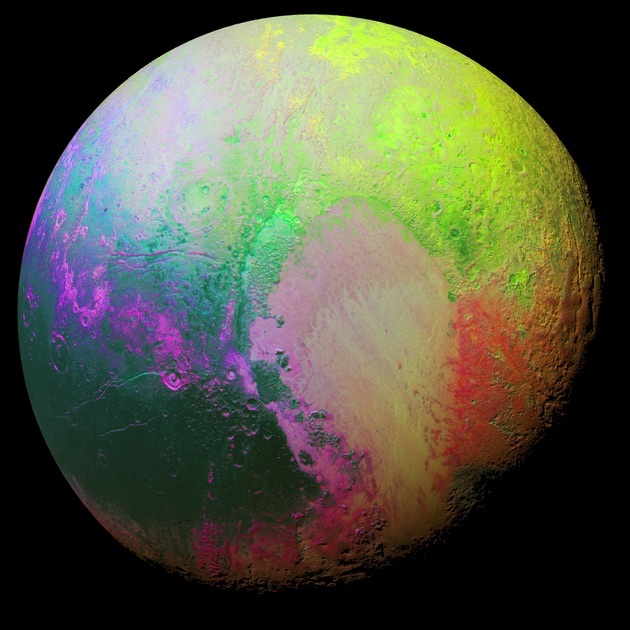 It shows color boundaries of the two halves of Tombaugh Region (named after, of course, Pluto’s discoverer Clyde Tombaugh) also known as Pluto’s Heart – it’s the beige and pink region to the mid-right in the photograph. Fragile Phobos cracking at the seams. And now, more wreckage. 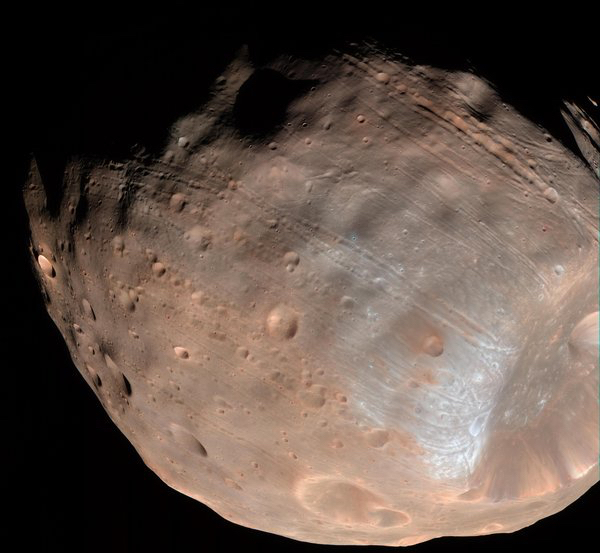 Apparently, Mars’ biggest moon, Phobos, is doomed. Scientists at a recently-held planetary meeting say they expect the potato-shaped satellite to be pulled apart in a mere 30 to 50 million years. The first evidence of Phobos’ ultimate demise can be seen in the huge stretch marks running down the moon as it orbits Mars just 3,700 miles above the Red Planet’s surface. At the annual meeting of the Division of Planetary Sciences of the American Astronomical Society, experts from NASA Goddard discussed how Phobos, which measures less than 17 miles across at its major axis, isn’t the most structurally sound celestial body in the Solar System. The fact that Phobos speeds around Mars much faster than the planet itself spins gives credence to the theory that the satellite could be fragilely hollow – or it could be a “rubble-pile” variety space rock, barely holding itself together. There’s not any news on Mars’ smaller moon, Demos, but I bet it has a better chance of lasting in orbit longer than Phobos. Well, perhaps Phobos’ eventual annihilation is all good news to the Russians. They’ve lost dozens of spacecraft to Mars…whenever the craft get near the vicinity of Phobos. It’s an eerie mystery that still pervades the suspicious minds of the Kremlin. 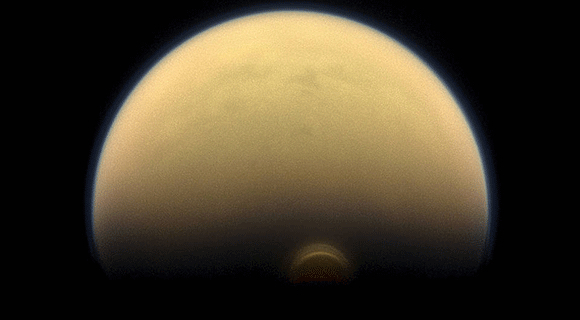 Meanwhile, NASA’s Cassini spacecraft has spotted a monstrous new cloud of frozen compounds enshrouding Saturn’s moon, Titan, again proving that our own solar system seems to be a very live, active place. Newly-discovered thick cloud of hydrogen, carbon, and nitrogen hovers above Titan’s -150 degree C surface at the moon’s south pole. 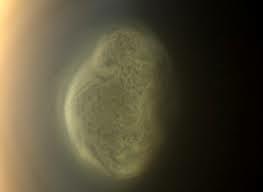 Titan’s cloud seems to be of low density, like a thick fog in the low-to-mid stratosphere, a stable region above the troposphere hovering 300 km above the moon’s frigid South Pole region. 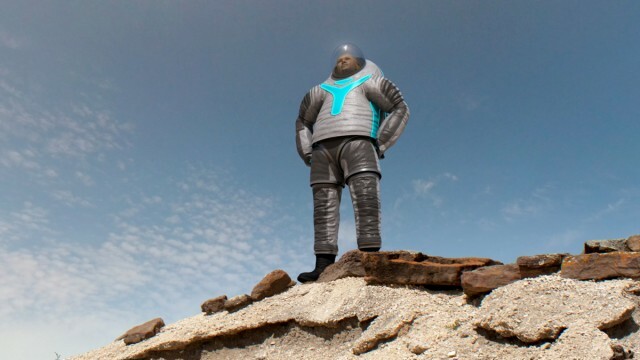 After having a contest mining inventive minds to come up with a new prototype of a spacesuit that will hold up on our missions to Mars, NASA has decided to reveal the new images for the “Z-2” Mars spacesuit. It looks a lot different from the white Moon suits that we are used to, and a lot more modern. It was designed with just one purpose in mind: “For maximum astronaut productivity on a planetary surface – exploring, collecting samples, and maneuvering in and out of habitats and rovers,” NASA says. 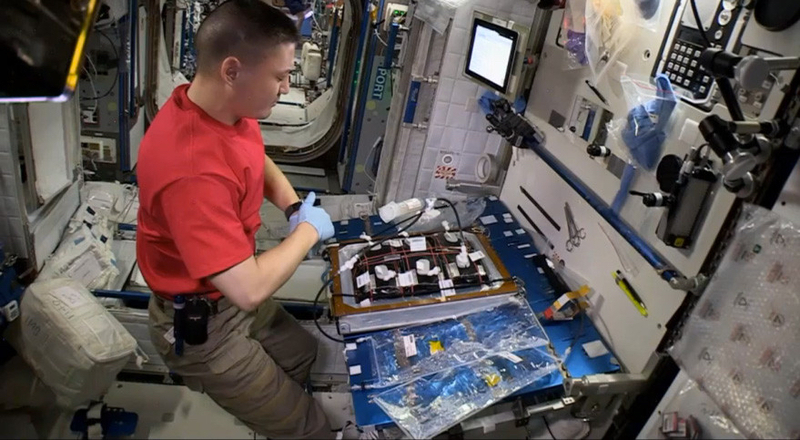 It won’t be used on space walks in outer space or even onboard spacecraft. The Z-2 uses advanced composites for light-weight maneuverability and high durability for the harsh conditions of the Red Planet. Naturally, it will be a while before NASA brains finagle the suit to shield radiation. At least they still have two and half decades to figure that out. 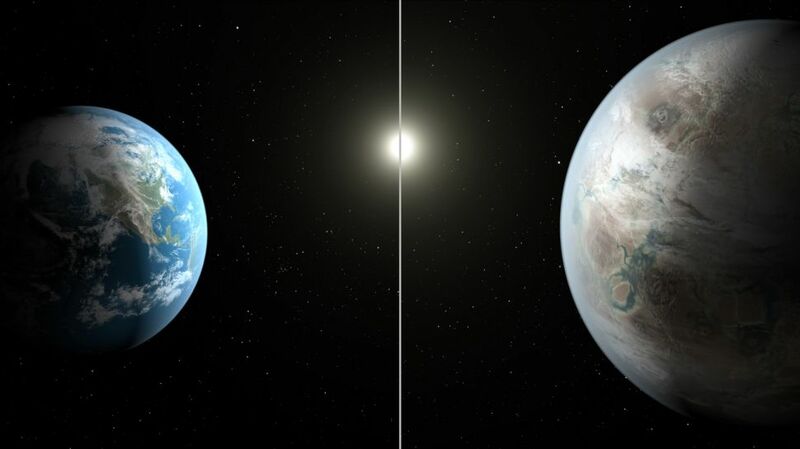 Scientists will soon have a new fabulous invention that is going to find Earth-like planets as fast as you can go outside and count dirt clods. NASA has begun developing a new instrument called the Visible Nulling Coronagraph (or VNC) that couples a light-measuring interferometer device and a long-range telescope capable of looking in the direction of stars through a powerful light filter. This invention will be able to provide broader spectral analysis, a crucial part in determining a planet’s atmospheric make-up and potential for hosting life. Let’s hope the candidate planets found are far, far out of range from the clutches of greedy speculators with picks and shovels. B i g B a n g J r .
You’ll loooove this next one, but be warned: it probably may only be found in a one-inch column buried in the back of your local fish wrap’s sports section. 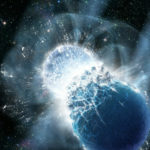 Galactic belch rivals spot for biggest interstellar blast in the last several billion years. WTF???? They gotta be kidding. And in fact, I thought it was a big hoax, maybe something that the good old Onion satire publication came up with. But no, it’s for real. And guess where I found it. Food World News, of all insane places. This galactic burst came from a supermassive black hole located in the galaxy cluster known to its friends as MS 0735.6+7421. Because of the time it took the light to get here, it actually happened 10 years ago, but the blast was the equivalent of over a trillion suns exploding – all in the same place at the same time. The NASA scientists say the supermassive black hole gorged on matter equal to 300 million suns, which apparently caused one hell of a bellyache. They say it was such a massive eruption that gas was being pushed away from ground zero millions of light years away. Now some of the remnants are being transformed into energy. And now for the finishing flourish, the wild plastic cherry atop what could be the fate of this country. “I love NASA, space is terrific!” quipped The Donald. This great pearl of wisdom comes from the xenophobe who will save America by building a katrillion-dollar 3,000-mile long impervious wall along our continental southern border to keep out all those stooping laborers who pick our food and clean our houses (and probably fix our potholes). 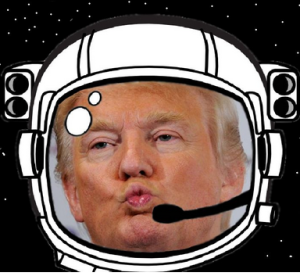 While the politicians allot less than .0001 percent of the gross national budget to NASA, the real waste is in all the tax breaks uber-rich guys like Donald Trump and his Welfare Queen pals get. 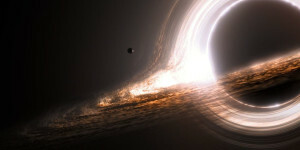 Now I ask: Where’s a supermassive black hole when you need one? When it comes to the moronic mainstream news versus science, the national media is usually pulling up the rear as it desperately hobbles to catch up on reporting and conveying modern scientific theories. So, it’s somewhat of a red letter day when a discovery occurs that bumps up the scientific consciousness a notch or two of the media’s talking heads. Such was the case recently when NASA announced that two of its space telescopes captured data of a black hole’s corona “impossibly” getting flung away from the incredibly dense celestial object, thus shattering the notion force-fed to every science student that “nothing can escape a black hole, not even light.” Not surprisingly, cosmologists for years have suspected the possibility of such an occurrence, however this doesn’t seem to have been communicated in a way that altered the generally accepted portrayal of black holes as light and matter-sucking rarities in the universe. Artist’s rendering of a black hole. Now this time, I don’t just blame the mainstream hacks and news-readers of the world for keeping the public at large “in the dark” for decades regarding black holes — I also blame the eggheads who have failed to explain up-to-date cosmology in laymen’s terms, as they know it so far. Gee, thanks a heap, you nerds – can we get some help here! Of course, it doesn’t help when cosmological giants like Stephen Hawking decided to revamp his 1980’s paperback best seller, “Black Holes,” some years later by taking the weird unsubstantiated stand that “all information dies forever at the event horizon.” For all you non-eggheads, the event horizon is the edge of a black hole, and that’s where everything – human, plant or mineral – gets “spaghettified” and sucked into so-called oblivion (however, the information contained in each object remains intact). Hawking’s cosmological u-turn was promptly dispelled by his contemporaries as a desperate act of yanking a proverbial spaghettified rabbit out of a hat (which it was). Back to the actual news: Two NASA telescopes from its Explorer project have actually caught data of a black hole’s corona “impossibly” getting launched from the near-infinitely dense object. 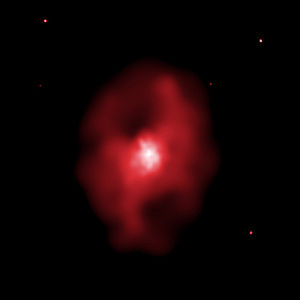 Specifically, instruments aboard NASA’s Swift telescope collected data of “something” blasting through the corona of Markarian 335, a supermassive black hole some 324 million light-years away. 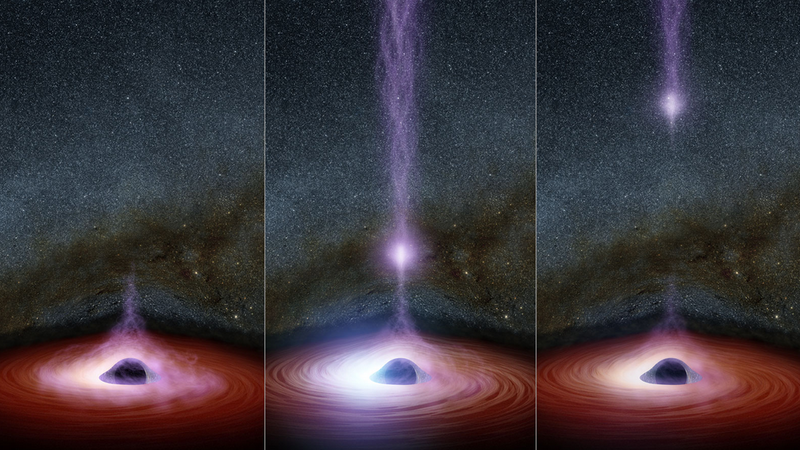 And then the Nuclear Spectroscopic Telescope Array (NuSTAR) nabbed a massive pulse of X-Ray energy shooting out of the hole. NASA wonks are now scratching their heads trying to figure out what just happened at that moment, although they suggest that the supermassive black hole’s corona (source of energetic particles) first was being ejected, then it collapsed. That proof has been caught for the first time is the big news. Remember gang, energy never dies. It doesn’t “go away forever” just because it might slip over the threshold of an event horizon. With only 47 people serving in its astronaut corps, NASA knows it needs some new blood to blaze a trail beyond Earth orbit toward the time we are ready to land on Mars in the 2030’s, so naturally it’s kicking into hyper drive to drum up public excitement for the job. Pheeeeew! 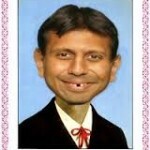 Any brainiacs out there (the few left) who don’t easily barf at being bar-rolled and flip-flopped? Yeah, I’m hearing crickets, too. Switching our gaze Earthward, Hawaii’s recent first crack at a space launch failed miserably, but that scrappy state is undaunted. For years there has been a network of space enthusiasts trying to stir up local support for an aloha spaceport, which from a rocket scientist’s perspective is a no-brainer: a nearly equatorial location with steady, mild weather. 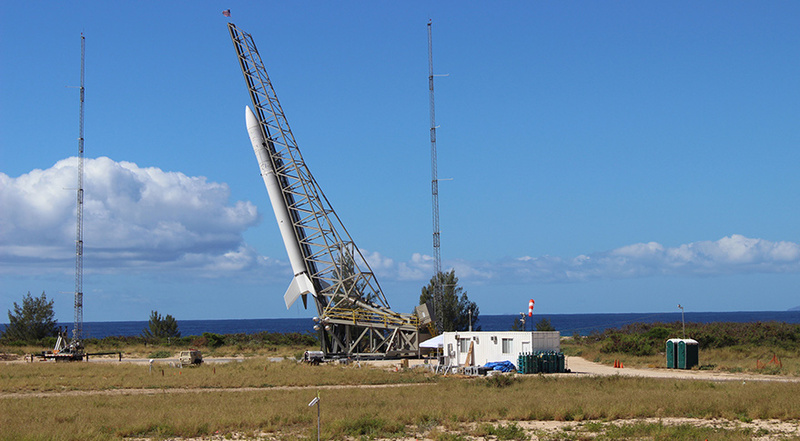 University of Hawaii’s Super Strypi is designed to launch mini sats into Low Earth or Sun synchronous orbits. 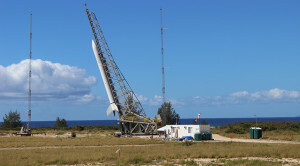 Sponsored by the University of Hawaii, the first orbital blastoff attempt from the Pacific Missile Range Facility at Barking Sands on Kauai using the Super Strypi rocket carrying a satellite called “Hiakasat” kablooyed in midair after leaving the launchpad. I am so, so hoping that DoD brass are gnashing their teeth right now. Our Sun spewing deadly solar flares. Although, if one bothers to look at the article’s fine print, the “White House” is not doing anything special except making sure their computers have surge protectors. 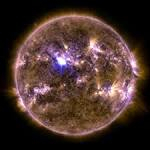 Basically, the Earth may face some big solar flare blasts in upcoming months, causing some power outages. Not to be outdone by AOL, other news outlets seemed to go bananas with what “could happen” after NASA posted new and stunning video from its Solar Dynamics Space Telescope. Check out the pix, but believe me, the sky isn’t falling… yet. Sheeeesh. Who says a leopard can’t change it’s spots? 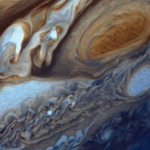 New data from the Energizer Bunny of space-based observatories has revealed that Jupiter’s famed Great Red Spot is shrinking at an accelerated rate, and that there’s a new gigantic Jovian wave structure found in the planet’s northern hemisphere – a phenomena seen only once before during the Viking flyby in 1979. We can thank the Hubble Space Telescope for this brand new info, and even though scientists have known that the Red Spot (which can fit three Earths inside it) has been shrinking since discovered in 1664, Hubble did a ten-hour time photo lapse that shows the mega-storm shrinking now at a dizzying rate, and getting oranger, darker, and more circular. This next blurb is rather cool. U.S. astronaut Kjell Lindgren played “Amazing Grace” on his bagpipes aboard the International Space Station, in homage to his friend, research scientist Victor Hurst who helped train astronauts for space travel. Galactic Sandbox salutes you too, Victor Hurst…. Early Saturday evening on November 7, many folks in California thought the aliens we’re finally here, at last, when they witnessed a bright glowing green light with a massive tail light up the sky. 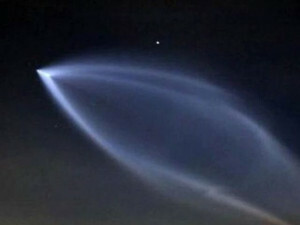 Test rocket sparks UFO fever in California. My brother Kemp and I were going down the road to a yearly Day of the Dead party our neighbors were throwing, and Kemp saw it first. By the time we got to the shindig, everyone was babbling about it. 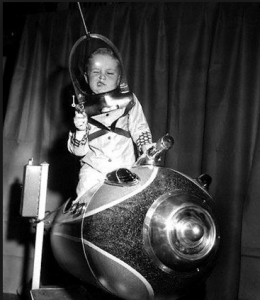 I didn’t want to do it, but eventually I had to pop bubbles and place the proverbial turd in the punchbowl, because I knew what it most likely was: a test rocket blasted off the coast at Vandenberg Air Force Base, It always is. Sure enough, today I saw the story finally – with not much explanation – so it was no doubt a Department of Defense launch. 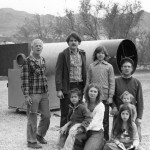 The Los Angelinos were particularly frenzied, as you can imagine: “There’s a UFO in Los Angeles. I’m so excited. I’m so ready,” tweeted Shane Dawson, well known for his brain cell-free YouTube videos. That’s from the New York Tribune. 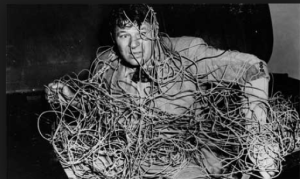 I am back online, dear readers, after a two-week hiatus of tearing my hair out over dead computers, a tumbleweed of mismatched hardware cords – and utter disgust over how the mainstream TV media “covers” this Universe. There I was, unable to purge the sound-byted, dumbed-down assault of idiotic reporting and present you with the real stories, while our fearless editor Agnett Bonwit thankfully pulled my chestnuts out of the fire. The whopper of a story I was working on when technology sadistically failed me is one that was not reported by big news outlets at all, and I am astounded this news hasn’t fired around the world, or even the U.S., with the fanfare of life definitely found in outer space. I’m not yanking your chain. 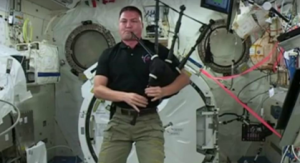 A month ago, Russian cosmonauts on the International Space Station did a routine spacewalk, or EVA (extra-vehicular activity), cleaning the outside of the station, and did a routine analysis of what they thought would be the usual suspects of contaminants and rocket soot once they got back inside. 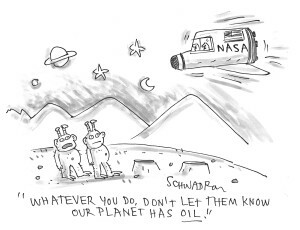 What they found were sea plankton, living 205 miles up in low-Earth orbit, happily thriving in the vacuum of space! Hitching a ride: Tardigrades apparently have been found surviving in the vacuum of space outside the ISS. So far, the Russians are playing this close to the vest and NASA says we have to wait for further analysis and final confirmation. They do know the plankton doesn’t come from the launch sites of ISS hardware, but does come from the seas of Earth. They suspect it was carried up to space by atmospheric currents. That means wind. That’s bizarre, because up until now the furthest found microscopic plankton and bacteria in the atmosphere recorded was 29 miles high. 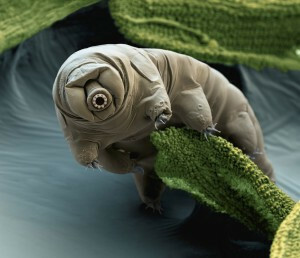 And the particular critter found unfazed by living in a vacuum while easily growing and clinging to the outside hull of the space station is called a “tardigrade,” and they look like something out of a science fiction tale. The one in the colorized photo was taken with an electron micrograph. Scientists knew that they could survive extreme conditions, including temps near absolute zero, high heat, bar pressure like that at Jupiter’s core and radiation – but a vacuum? Is it just me, or does anyone else on this planet find this to be a massive story? Let’s just kick this next rotting body down the stairs: Again, while I was gnashing my teeth listening to imbecilic news stories, CBS radio did a fragmented bulletin about a group of Russian women being tested on the psychological stresses of space. I do not remember a complete sentence being uttered. All-woman Russian crew trains for future Lunar trip. 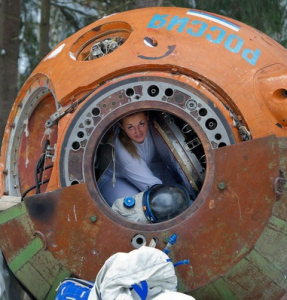 The true story is that the Russian space agency, Roscosmos, is trying to level out the gender gap of their male-dominated cosmonaut program by training an all-women crew for a mock Moon mission for eight days in a space transport-like environment. Have you seen the Russian space transports? It would be very, very close quarters. Hardy har har! How patriarchally putrid. Meanwhile, NASA has come up with a three-part plan to put humans on Mars. The first phase, called “Earth Reliant,” will develop new technologies, mostly on the ISS, that the agency says will develop ways to avoid overexposure to radiation and come up with fasterinfographic_marsextensibility infographic_marsextensibility ways of communicating from space to Earth using lasers. The second phase, “Proving Ground,” will test new habitats on extended space missions, mostly on the Moon. “Earth Independent” is the final stage where NASA will place a human colony on the Red Planet. This last phase won’t happen until the 2030s, the space agency says, but unlike the Apollo missions, we will go to Mars and stay. Paradoxically, the very next week the same committee slammed NASA and its “leftist boss,” Obama, for supposedly cutting back on deep space missions. Huh? That latest volley of criticisms seem to be a moronic effort to make vivid the committee’s loathing of any Earth monitoring missions in order to understand our planet’s current and worsening global climate change. Yet another buried but incredibly important news story is the one about NASA making 1,200 of its patents available at bargain prices to the private sector. It’s an indication of how strapped NASA is and how politicians have made the agency rely almost entirely on subcon tracting talent to help develop technologies to get the hell to Mars. The patents are being offered to start-ups with no upfront licensing fees. That NASA has to resort to mining youthful inspiration and cheap labor is evident in this next blurb. NASA held a “3-D Design Challenge” contest for students to design the best multi-utility container to assist astronauts in zero gravity. 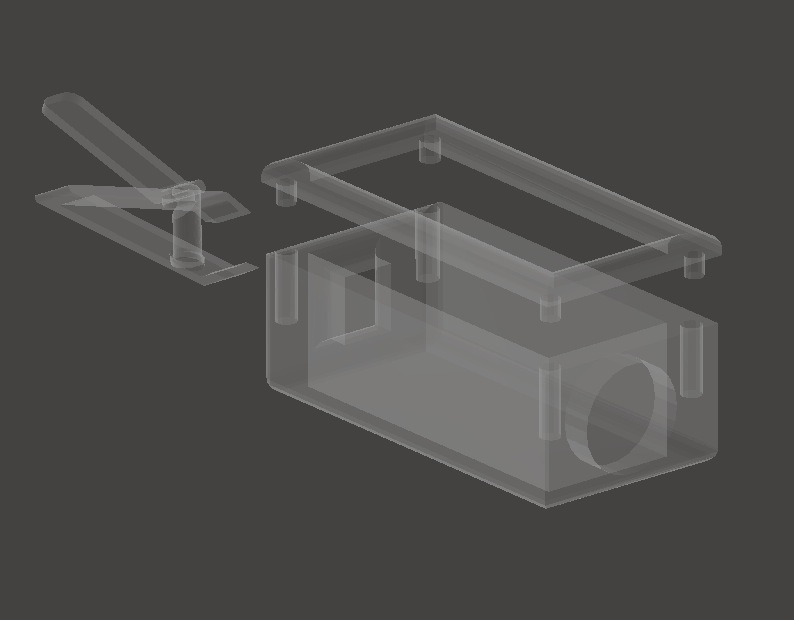 Rather than making a better plastic baggie with straw, the winning entry is a gizmo called “ClipCatch” designed by Ryan Beam of Scotts Valley, California. It allows the crew to clip their fingernails and catch the clippings instead of allowing the hard nail cartilage to become dangerous debris floating around quarters. Two runner-ups were two American students of East Indian descent: Rajan Vivek from Arizona and Prasanna Krishnamoorthy from Delaware. Along those same lines, NASA is currently crowdsourcing an offer to award $15,000 in prizes (yeah, that’s plural) for someone, anyone, to build a spacesuit for manned Mars missions. It would have to be a lot more durable than the Moon suits used on Apollo because there will be a ton (literally) of pressure on Mars surface, not the fun one-sixth Earth-gravity on the Moon. 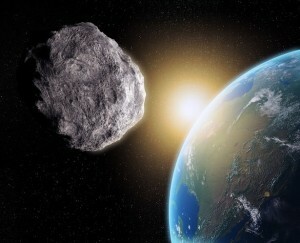 NASA hopes in the future to commandeer an asteroid in order to study ways to avoid close encounters of the wrong kind with Earth. This next news is strange because the only newspaper that seemed to show any interest in it was the U.K.’s goofy hysterical Mirror. But apparently it’s true. NASA says they plan to drag an asteroid to the Moon where scientist astronauts can study it so we can prevent a “doomsday” space rock from destroying our planet. Apparently the space agency will get around to asteroid wrangling after they set up a human colony on the Moon, where NASA will place the planetoid in orbit for 100 years. Then what? It crashes into the Moon and destroys the colony? Who knows, but I can hear Lamar Smith going apoplectic right now.